Special Needs Action Project is a voluntary sector organisation that offers a range of services during Out of School hours for children and young people who have learning disabilities. The children/young people must be between the age of 5 and 18, live within the Inverness area OR attend Drummond School. SNAP also has a Young Adult Project for 19 to 30 year olds. 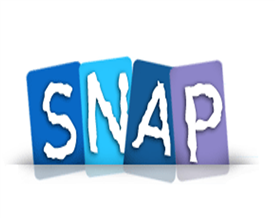 · SNAP for Young Adults - one evening per week and other ad hoc activities. SNAP are recruiting for a Team Leader and for Relief Team Workers. Are you friendly and full of fun? Have you experience in a supervisory role, or ready to step up to your next challenge? Get the latest jobs from SNAP (Special Needs Action Project) sent direct to your inbox!